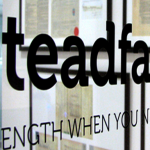 Listed broker Steadfast is entering the direct personal lines market with a new line of retail insurance products for sale through brokers. The new approach, called Steadfast Direct, will be underwritten by Berkshire Hathaway Australia and New Zealand, the local arm of the US investment and insurance giant. Steadfast MD and CEO Robert Kelly told insuranceNEWS.com.au the new sales channel will allow Steadfast Network brokers to offer their clients competitively priced direct insurance products. From February Steadfast Direct will offer home and motor insurance, subject to regulatory approval. “Through my insurance career I’ve seen the direct insurers move into the market and take personal lines business away from the brokers with more efficient products,” he said. “It has reached a point where brokers now often advise their clients to go directly to the insurers for personal lines products. Mr Kelly says the new deal will enable Steadfast Network brokers them to strengthen their relationships with their clients and grow their businesses through selling “direct-style” products.